Beall maintains a list of criteria with which to discredit Open Access Journals. Those criteria are not properly evaluated by any governing authority as they should be if we are to attribute his comments any validity. Its validity is in fact not tested. There is no proper procedure or method in applying his criteria and Beall has utilized them arbitrarily. According to many Journals (included into his hit list) Beall never contacted them. Without obtaining proper information directly from Journals, Beall categorized them as predatory based on his assumptions. He applies many bogus reasons to the point of which some of them are even laughable. Beall completely relies on emails, (according to him - spam) forwarded to him. Those e-mails are created by Beall’s followers (scammers). His handful of bloggers (scammers) are behind all of the activities. This con artist has no credibility at all. Here are some of the highly questionable, bogus criteria Beall used in determining Open Access Journals are predatory and posted on his predatory blog. 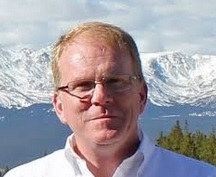 Here are the reasons we’ve added Jeffrey Beall to the list. (We frequently update the list so please visit our website often for additional information). Beall is biased in arguing to protect academic scholarly publication. He invented bogus criteria to discredit open access journals in the best interest of larger publishers. Beall continually attacks open access journals and publishing houses but never criticizes closed access publishers as predatory. Is there any reason behind it? Beall is a scammer and is currently working for the best interests of major publishing companies. Friends of Open Access forecast that Beall’s list will grow until all popular open access journals are included into his blacklist. He utilizes this mechanism to collect ransom. As such, Beall is a predatory blogger and an academic criminal. For this reason we added Beall to our list as predatory blogger. Why are PLOS, Springer, Elsevier not predatory? Beall heavily attacks Open Access journals and also maintains a hit list to collect ransom. Beall, however, never criticized PLOS, Springer, or Elsevier — publishers who are charging huge amounts in publication fees for a single article. This demonstrates Beall’s bias towards open access journals as well as towards certain publishers from India and Africa. Many Open access Journals follow an author-pays model at a substantially lower cost than the fees that PLOS, Springer, and Elsevier charge. Nevertheless, Beall neither criticizes nor did he include PLOS, springer, or Elsevier on his hit list. Please see the article processing charges for these three major publishers. To provide Open Access, PLOS uses a business model to offset expenses – including those of peer review management, journal production and online hosting and archiving – by charging a publication fee to the authors, institutions or funders for each article published. Publication fees vary by journal and are payable for articles upon acceptance. Publishing Open Choice involves an open access publication fee of US$ 3000/EUR 2200 (excl. VAT). You can choose to pay by credit card or to receive an invoice. Customers providing payment from the Americas will be charged in US$. Sales taxes will be charged if applicable. Customers providing payment from Europe, Africa, and Asia will be charged in EUR. VAT is not included in the price and will be added, at a standard rate, if applicable. Final charge may vary from over $5000.00 US. Adjustments in article publishing charges (APCs) reflect a number of factors including competitive considerations; market conditions; journal impact factor; article type; journal function; editorial processes; and technical features. Our APCs are journal specific and range from $500 to $5000 US Dollars. For specific pricing information, please refer to the individual journal homepages or alternatively download the 2015 APC price list. Subscription articles are not included in these calculations. Beall, Can you provide us an explanation? This provides clear evidence that Beall’s list is flawed and has no credibility whatsoever. Beall’s Gold Open Access criteria of the article processing fee are predatory, and its purpose is only to collect ransom and nothing more. For this reason we added Beall on to our list as a potential, probable, and possible predatory blogger. This is one of the most ridiculous criteria invented by Beall thus far. There is no way to compare their academic facilities and standards with those of the western world. Most of the countries in Asia and Africa are still developing nations and are unable to offer infrastructure for the academic institutes. However, they are successfully emerging into the global market thanks to the internet and other communication technology. We should encourage Asian and African scholars to publish their research and should provide adequate support for their enhancements. Rather than giving support for the Asian and African scholars, however, predatory Beall continually discredits their publications and journal publishers. When compared to larger Open access publishers these publishers charge authors very minimal article processing fees. In our view, the support of their publishing combined with their low fees, will enhance knowledge circulation and readers from all over the world will also have access to Indian and African scholar's research work. In conclusion Beall's predatory criteria are, once again, ridiculous. 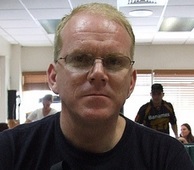 For this reason we added Jeffrey Beall on to our list as possible, potential, and probable predatory blogger. An unscientific epidemiology article was published (According to Beall). Therefore the Journal is predatory. (Posted on April 23, 2015). Beall has no Ph.D in any discipline and holds only a Bachelor degree in Spanish. It is laughable how Beall could possibly qualify to review an article based on epidemiology. This jack of all trades is a Colorado clown and nothing more. Beall cannot interfere in the economic relations of the publishing house. If Beall or any author does not like to the practices they are free to find another publisher. It is the same as with any other business in this world. Beall has been posting this sort of useless nonsense for long time and it must end now. This is yet another bogus predatory criterion invented by Beall. Beall is insane, nothing more. Beall is suffering from some undiagnosed mental disorder. If a publisher makes a profit from his/her publishing business, it has nothing to do with predatory criteria. It is the as what any other publishers do. Beall is continually posting content full of nonsense and, as such, providing jokes for the academic community. This is actually a common practice used by even some of the most renowned journals Expert Opinion on Investigational Drugs (IF 5.432) Journal, for example, has the same practice. Wiley’s journal, Advanced Energy Materials (IF 14.385), which is one of the best journals for materials science, also has this same practice. Now it is clear that Beall is simply trying to point fingers on Open Access journals. Beall's opinions are bias and have no credibility whatsoever. This is another laughable criterion invented by Beall. These bogus criteria render him a laughing stock for rest of the world. Beall becomes an academic joker, nothing more. This is yet another laughable criterion invented by Beall to discredit Open Access journals. This clearly indicates the status of Beall's mental health, nothing more. We believe additional analysis is not necessary in determining this bogus criterion also invented by predatory blogger Jeffrey Beall. The published article is poorly edited therefore it has little value. This is therefore predatory. (Posted on March 24, 2015). Beall is insane. He has now started his own made-up rendition of quality control of the open access journals. It is the most laughable predatory criterion invented by predatory blogger, Jeffery Beall, yet. The quality of the publication has no relation whatsoever to Beall's bogus predatory practices. Beall is a not a qualified authority to evaluate journals and he is a jack of all trades criticizing open access journals in his vicinity. Predatory blogger Beall invented another criterion. According to Beall if the review article published is short, that open access journal is predatory. Beall keeps changing his bribery business model. Publishing an article is a matter of the decision of an editorial board affiliated with the journal. If the editor decides the length of a given article is appropriate, they are free to publish the article. Beall cannot interfere with journal practices. It is none of his business. This predatory blogger takes every action he can, regardless of its merit, to discredit open access journals. This bogus criterion has further clarified to us Beall’s motive behind his blog. For this reason we included Beall on to our list as a potential, possible, and probable predatory blogger. Beall goes beyond ridiculous here. Beall is running out of his predatory criteria by which to tarnish the journal’s reputation. His main intention is an attempt to raise questions on the number of publications of Open Access journals. Other closed access publishers, such as Elsevier and Springer, are publishing more than hundreds of articles in their journals. According to Beall, though, those journals and publishers are not predatory. However, in contrast to his whole argument against Open Access, Beall the predatory blogger, discredits journals that publish more articles. Beall's double standard policy and predatory business model is exposed once again. For this reason we included Beall on to our list as a predatory blogger. Beall is continually inventing new predatory criteria and he has no idea that the academic world is laughing at him. None of the criteria invented by Beall is nor can it be considered predatory. Instead the only thing proven predatory is Beall himself. Any person in this world has the right to start and maintain a business. Beal has no right whatsoever to interfere in others’ economic relations. Beall is crossing his boundaries and demonstrates to the rest of the world that he is predatory. 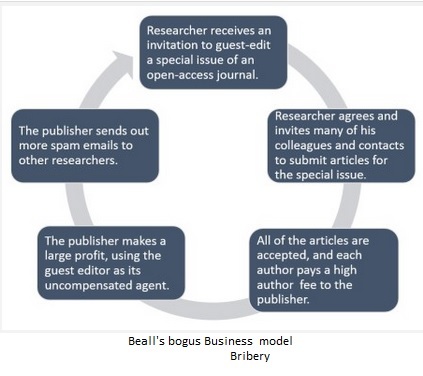 Beall’s bribery businesses model is no longer working and so he has taken to continually inventing new criteria to discredit open access journals. For this reason we added Jeffrey Beall on to our list as a predatory blogger. Beall continually discredits open access journals by inventing bogus criteria. This criterion has no relation whatsoever to the practices of the journals. Those are only Beall's predatory opinions and nothing more. It seems as though Beall is running out his predatory criteria with his outlandish and beyond ridiculous arguments, providing jokes to rest of the academics in the world. Many Journals have authors from all over the world and Beall's bogus criteria make no sense. If the journal is popular among researchers in another country, it is not grounds for considering it as predatory at all. Low quality contents are in the open access journal, therefore it is predatory. Beall is a jack of all trades. Beall criticizes Open Access journals including those specializing in disciplines from the medial sciences to the social sciences. This man has no expertise in any single one of those subject areas and no actual research work has been conducted on his behalf. It is surprising that Beall has the courage to provide this academic joke to rest of the world. For this reason we added Jeffrey Beall on to our list as a potential, possible and probable predatory blogger. If an Open Access journal has a hybrid model fee structure it is predatory. Beall thinks he is very creative and finds whatever reason he can to discredit his opponent without any merit. He has no credibility to his blog. It is providing jokes for the rest of the world. Predatory blogger Jeffery Beall, needs to grow up. Beall is insane and definitely requires a psychiatric assessment. We are not going to provide any additional analysis for this one of his predatory criterions. We included Jeffery on to our list as a predatory blogger. Beal claims Open Access Journals are making a huge profit from special issues. This clearly provides us with evidence for the reason behind his extortion attempts. Beall's associate will contact Open Access publishers and demand ransom. Additionally, there are hundreds of cases against Beall. Most cases Beall is failing to collect ransom and inruturn he include journal into his hit list. For these reasons highlighted, we added Jeffrey Beall as potential, possible, probable predatory blogger. Scholarly publishing is a business same as any other business. The success of a business depends on various factors. According to Beall, the journal mainly depends on volunteerism and therefore it is predatory. Beall is clearly going to continue inventing criteria as much as he can in order to discredit Open Access Journal. If any business like this one has failed in the past, it does not mean that all businesses in his field are going fail also. Beall’s intention could not be clearer. Beall wanted to shut down all open access journals. This is because doing so would provide opportunity for high paying commercialized closed access journals. The closed access journals would be able to once again take back their lost revenue by monopolizing journal publishing. Beall’s ideology is vicious and will benefit only his supporters within the closed access publishing industry. Beall wants to scam millions of dollars from researchers. For this reason we added Beall on to our list as a potential, possible, probable predatory blogger. Beall goes wild again. Beall has no information about and there is no logical analysis to how those publishing houses run. Predatory Blogger and Jack of all trades, Beall, criticizes the quality of work of the journals from Biology to Chemistry. This is also bogus criteria invented by Beall for purpose of the discrediting Open Access publishers from Asia. For this reason we added Beall on to our list as a possible, potential, probable predatory blogger. Beall has invented another bogus criterion. We have looked closely at his claims and would like to point out that ISSN will not allow similar titles on articles published. ISSN is the authority determining the titles of the journals. Take the common names John, Jane and Jeffrey for example; there are many who posses those names and yet it is not an indication that these people are similar at all. Nor is it misleading to have the same name for different individuals. Based on Beall’s post on January 29, 2015 he has evidently invented another bogus criterion. This time, based on the destination of the conference. If the location is a tourist destination he will include the conference and Journal on his hit list. Beall has gone beyond ridiculous. He is a clown and only suitable for the merry-go-round at the Colorado carnival. For this reason, we have added Beall to our list of predatory Blogger. We found another criterion invented by Beal as posted on his Blog January 29, 2015. According to his statement, the sole reason to discredit a journal was that he was not able to access the Journal website. This is one of the most ridiculous and bogus reasons he’s invented so far. Soon after Beall had declared the journals as predatory, however, one of the bloggers posted access URLs for all the journals. Even so, the journal still remains on his blacklist. It is now clearly evident that Beall’s blog is a scam. The website may have been experiencing technical difficulty and may have been undergoing an updating process. If the website is not able to be accessed at a moment, it does not merit its inclusion as a predatory journal. For this reason we included Beall on our list as a predatory Blogger. On Beall’s January 29, 2015 post, he discredits another open access publisher, quoting that the Journal gives no office location (But the publisher provides a legitimate address in the USA). Conversely, Beall’s blog gives no office location. It is now highly questionable as to why Beall is hiding behind his blog. Is he utilizing the University of Colorado system, is he utilizing the University of Colorado’s library to run his scamming activities? Beall cannot determine other journal’s peer review process. There is no way for Beall to determine whether the peer review process is fast or slow. It depends on the resources available for publishers. This is yet another bogus reason Beall gives to discredit Open access Journals. Therefore we have added Beall on our list as a predatory blogger. Beall has gone beyond ridiculous. Beall is not only criticizing Open access journals but is also interfering with the economic interest of the Open access Journal publishers. Whether or not any journal utilized manuscript-managing system software has nothing to do with the quality of the journal publication. Beall, on his post, stated that he logged the complaint against the open access publisher using manuscript managing system software. Beall has no right whatsoever to interfere with the economic interests and business transactions of two organizations. In a similar context, for the purpose of comparison, is Beall going to log a compliant against Internet companies against Open Access Journals. For this reason we have added Beall on our list as a predatory blogger. Open Access Journals charge publication fee or article processing fee in US dollars. Beall includes journals into his hit list based on his ridiculous criteria. International publishing houses use US dollars as their main currency for their transactions. Additionally, US dollars are utilized as a universal currency for global transactions. However, the transactions made in US dollars have no relation to the quality of Journals. We have, as a result, added Jeffrey Beall to our list as a predatory blogger. The location of organization has no relation what so ever to the quality of publication. Whether the publishers are from India, Turkey, China, USA, UK, Ontario or Canada has absolutely no relation what so ever to the quality of publications. This clearly explains Beall’s conspiracy against Open Access Publishers. Again, the ridiculousness and even comedy in Beall’s criteria should be noted. We have therefore, added Jeffrey Beall to our list as a predatory blogger. The journal does not appear to have an established editorial board; none is listed on the website, nor is any Editor-in-Chief listed. We do not agree with Beall because he added to his black list, Journals that already have an established editorial board and Editor-in-Chief. They are also listed on the publisher's / organization's website. Beall utilized these criteria to undermine research activities and discredit scholars around the world. His behavior is highly questionable and his motive is now clear. His idea is to ridicule professionals ruthlessly and in an unmerited fashion for the alternate purpose of scamming other of their hard-earned money. This is therefore another reason we have added Jeffrey Beall to our list as a predatory blogger. The journal gives authors the option to pay an extra fee to get a fast track review on submitted papers. This fee is in addition to the normal article processing charge. It’s not clear who does the review, as there is no editorial board. We closely looked at Beall’s claims and could not find any information related to his specific claim on the Journal website. The Journal website clearly posted their Editorial Board and Editor-in-Chief. This is one of the clear examples where Beall is providing false and misleading information on his blog and slandering the names of otherwise reputable journal publishing organizations. We were also able to confirm that Beall demanded one million dollars ransom from this particular Journal. Once the Journal refused pay ransom, Beall posted false claims about the Journal and included this Journal into his blacklist stating that it is predatory. This is yet again another reason we have added Jeffrey Beall to our list as a predatory blogger. The organization does not publish the journal itself; all of its published papers are only available on the SSRN website. Therefore, SSRN is playing the role of journal publisher. I thought SSRN was only a preprint server and disciplinary repository; I didn’t realize it also functioned as a scholarly publisher, its role in this case. We already established facts that Beall is a predatory Blogger. If Beall could not understand or had not realized it functioned as scholarly publisher, then he should have made inquires to the publisher. Unsurprisingly, we confirmed that Beall never contacted the publisher. Beall is acting out on his own assumptions. This further proves that Beall is writing nothing but incredible nonsense on his Blog. According to the publisher and SSRN, they have established Partnership in a publishing agreement to be utilized on SSRN platforms. The Journal is publishing on the SSRN platform and taking full advantage in order to publish research work at the lowest possible cost. SSRN is not a publisher for the organization. Organization is a Partner in publishing with SSRN. SSRN consists of numerous Research Networks. The organization is a partner in publishing and utilize the SSRN platform to publish Journal articles. Beall’s claims are bogus, ridiculous and misleading. The 264,000+ authors who have contributed their research to SSRN have trusted their intellectual output. SSRN continues to invest substantial resources in providing a responsive, reliable, and scalable platform to deliver services to users. SSRN's objective is to provide worldwide distribution of research to authors and their readers and to facilitate communication among them at the lowest possible cost. The vast majority of papers in the SSRN eLibrary are downloadable at no charge. In addition, SSRN provides free subscriptions to all of their abstracting e-Journals to users in developing countries on request. Therefore, we have added Jeffrey Beall to our list as a predatory blogger. Beall did not see authors from Country of publisher. This is a most ridiculous and immature reason to include Journals to his blacklist and as such Beall is providing a laugh to academic world. Many authors from the publisher’s country contributed to the Journal. This will further establish Beal as a predatory Blogger and nothing more. The organization prominently refers to itself as a “Non Political and Non Religious Foundation,” yet there is no evidence that it is actually a foundation. It does not claim to be non-profit and may in fact be a for-profit entity. Also, the name of this organization seems to steal some legitimacy from the agency that was formerly called the Canadian International Development Agency and from the province itself. We contacted the publisher to obtain more information. The Organization is a non profit, non-governmental organization founded in 2001 and registered in Ontario, Canada with registration #: 1673435. The Organization does not state that it is a foundation. The Organization says it does not represent any political or religious group, and it is clearly posted on the website. It is highly questionable how Beall determined the organization’s internal functions and activities without affiliating to it and without contacting them. The agency was founded in 2001— almost 15 years ago. In 2014, the Canadian International Development Agency transformed into a newer organization operating under the ministry of foreign affairs, trade and development Canada. The publisher has been operating since 2001. Beall’s claims are bogus and misleading. We now conclude that Beall is not only a predatory Blogger but also a predatory psychic, and we have henceforth added Jeffrey Beall to our list.